I’m coming on my own with my baby, will there be people to help? Will it be the same comedians each month, and will the acts listed for an event ever change? Every month features a brand new lineup of award winning comedy, plus a regular host that will get to know you and your baby. The acts featured are subject to change but we will always ensure to book the best acts from the comedy circuit for your entertainment. Do I need to buy a ticket for baby? No, your little one can come and enjoy the soft flooring and toys free of charge, whilst you have a laugh! Can I breastfeed during the show? Of course! All of our shows are a judgement-free zone which is why all of our venues are breastfeeding friendly, and also have bottle warming facilities. Can I bring my buggy along? We have designated ‘buggy park’ areas at all of our shows, but this limited so we recommend bringing a sling if you can. Buggies cannot be kept with you during the show, but should you wish to detach a car seat or bassinet we aim to accommodate these inside the venue. Our venues are safe and welcoming, with fantastic staff, however please note that buggies are left at the owners own risk. What if I am coming with twins? Yes of course! We have changing facilities in the room so that you don’t need to miss out on a second of the show. You can also change your baby at your seat; whatever works best for you. Our venues also offering baby changing in the toilets too. Some of our venues provide a small number of high chairs. Please do get in touch if you would like to know more. Our shows are a night out during the day…so yes! Wine, G&T, coffe, tea…whatever your tipple of choice, we have you covered! Tickets are £11 in advance and £12 on the door. We also offer a 10% discount for Groups of 6. These prices may vary slightly at some of our theatre venues, as they often offer a price which include booking fee.There is also a small booking fee. Please check the individual venue pages for this information. We also sometimes offer discounts on advance tickets so keep an eye out for those!. If a show says it’s ‘SOLD OUT’ can I still get tickets? Unfortunately, if we are sold out, then there are no more guaranteed tickets left. However, if you wish to come to the door of the show, on the day, we may have cancellations, and therefore may be able to get you in! However, we cannot guarantee this. Can I get a refund if I decide not to come along? Tickets are non-refundable and we are unable to transfer them to another date.. However, if for whatever reason you cannot make it along, you can transfer your ticket to a friend. Just tell them the name under which the ticket was booked. Running time is approximately 75 minutes (including a 15 minute interval). Our Hertford shows are approx 1 hour without an interval. Do I have to bring a baby to come to a show? Not at all! Our shows are open to everyone so come on down! You can absolutely bring anything your baby needs to eat and drink. However, please do not bring food and drink for yourself to the venue. All our venues serve drinks and snacks and some serve a full menu of food. Please visit the venue website for more information on their offerings, or drop us a line with any questions. 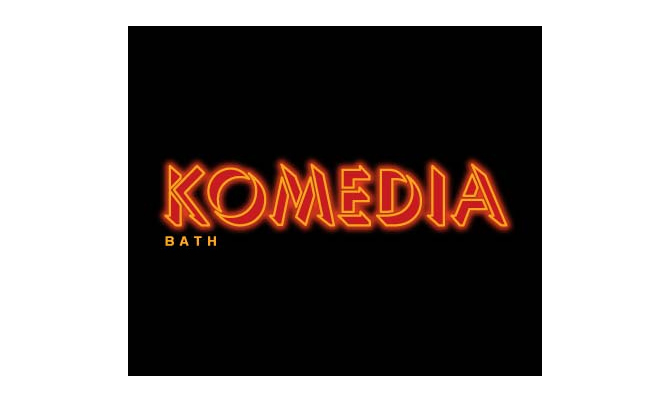 Komedia Bath is a renowned Comedy Club in the heart of Bath. There are several car parks within five walking distance: Named Avon Street and Charlotte Street, both car parks charge between the hours of 9am-8pm. By Train: Bath Spa mainline station is approx 10 minute walk from Komedia. For a stress free visit to Bath use one of the three Park & Ride services, which operate seven days a week. Regular bus services run into the city at least every 15 minutes. A dedicated buggy park will be provided. Space is limited so please bring a sling or car seat if you have one. The Chancery is a family owned Gastro Pub, serving delicious food and drinks which will be available to you when you come for some BYOB Comedy fun. Beckenham Junction Station is a short walk away. The Chancery is also served by several bus routes. Our show will be in the gorgeous private room upstairs at the Chancery. There is one flight of stairs going up to the room. We are on hand to help you carry up nappy bags, car seats (we know how much you have to carry and are happy to share the load so you can carry your wine!) up the short flight of stairs. We have buggy parking downstairs in the venue, however, please note that buggy parking is limited, so if you are able to drive or bring your baby in a sling that would be great, but if you can’t, don’t worry, we have a section of the venue reserved for buggies, and a dedicated ‘buggy watcher’ to keep everything safe! 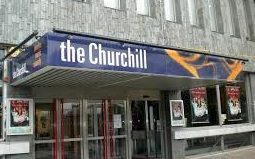 The Churchill Theatre is the most reknowned Theatre in the South East. A thriving and exciting theatre in the centre of bustling bromley. We have space for buggies inside the venue. Komedia is the most popular comedy club in Brighton. A thriving and exciting venue in the centre of Brighton . Komedia is situated in the heart of Brighton’s North Laine and Cultural Quarter, neighbouring The Theatre Royal, Brighton Dome and Royal Pavilion, and just a few minutes walk from Brighton Station. There are several car parks within walking distance: NCP – Church Street T: 0845 050 7080 Open Monday – Sunday, open 24 hours and offers a rate of £6.00 for evening parking from 5.30pm – 23:59pm, NOTE: There is no on-street parking within the North Laine area. Resident Permits only. We have space for buggies inside the venue. However, buggy parking is limited, so if you are able to bring a sling or car seat, that would be very appreciated! The glorious Clapham Picturehouse, in the heart of Clapham Common, has the comfiest seats in town, boasts a full bar with amazing snacks, and delicious coffee. Paid street parking is available but limited. Clapham Picturehouse is located in the heart of Clapham and is easily accessible by public transport. Buggy parking is available but limited, so please bring a sling or car seat if you have one. 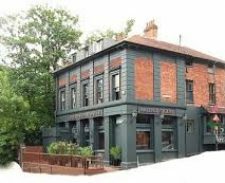 The Bridge House is nestled between Crystal Palace and Penge and perfectly located next to one of London’s best parks. Buggy parking is available in the venue. It is limited so if you are able to bring a sling or car seat that would be wonderful. Crouch End Picturehouse is a stunning Cinema in the heart of Crouch End. Parking is extremely limited and controlled in the area. Please take public transport if you are able to. The Cinema kiosk provides an amazing selection of snacks and drinks. The Picturehouse also has a stunning restaurant with a full menu. BYOBaby Guests receive 10% off, so why not stay for lunch after the show? Please note, parking is limited. There is unrestricted parking on several of the streets off Lordship Lane, but the parking spots do tend to get taken quickly. 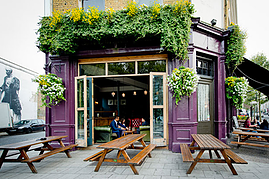 Our show will be in the gorgeous private room upstairs at the East Dulwich Tavern. If you have a buggy, please enter via the main entrance of the pub. Buggy parking is in the far right corner of the ground floor. We have buggy parking downstairs in the venue, however, please note that buggy parking is limited, so if you are able to drive or bring your baby in a sling that would be great, but if you can’t, don’t worry, we have a section of the venue reserved for buggies. Once parked (or if you are coming without a buggy) please make your way out of the venue and to the ‘Show Entrance’. This will be clearly posted, and the lovely EDT staff will be able to direct you also. There are some stairs leading up to the show room, so we will be on hand to help you carry any nappy bags, car seats and babies!.. up the stairs. The Stoke boasts a gorgeous performance hall where we will be making you giggle, along with fantastic food including a brilliant children’s menu. Up The Creek is the most reknowned Comedy Clubs in the UK. A spacious and luxurious venue in the heart of beautiful Greenwich. 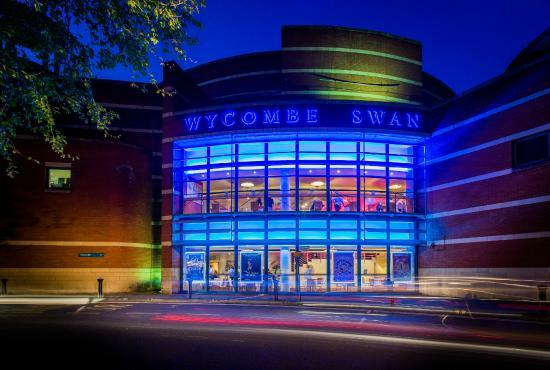 The Wycombe Swan is a stunning theatre in the centre of High Wycombe. Wycombe Swan Car Park is located next to the Theatre. Chiltern Railways provide fast and frequent services to High Wycombe. The station is just 5 minutes walk away from the theatre on Amersham hill. Visit chilternrailways.co.uk for train times and tickets. If you are travelling in a group of 3 or 4, then buy a GroupSave* ticket from any staffed ticket office. With GroupSave 3 or 4 people can travel together Off-Peak for the price of 2 adults. * Terms and Conditions apply. See Chiltern Railways Website for details. We have buggy parking in the venue, however, please note that buggy parking is limited, so if you are able to drive or bring your baby in a sling that would be great, but if you can’t, don’t worry, we have a section of the venue reserved for buggies! 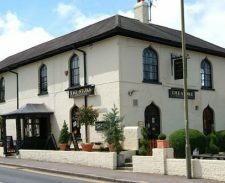 A stone’s throw from the river in Putney, The Half Moon continues to draw fans from all over town year after year and the cracking selection of hearty fresh pub grub makes it too good to miss. WWT London Wetland Centre Car Park is a 17 minutes walk, and Riverside West Car Park is a 26 minutes walk from the Half Moon. 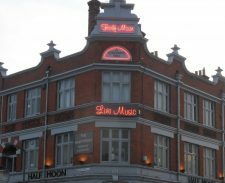 Putney Railway Station is a 9 minute walk and Barnes Station is a 18 minute walk from the Half Moon. The nearest bus stop to The Half Moon is 68 metres away. This stop is called Ruvigny Gardens. There are 53 bus stops within 1km of The Half Moon. We will have an area dedicated to buggy parking. If you are able to bring a sling or car seat, that would be wonderful, as space is limited. 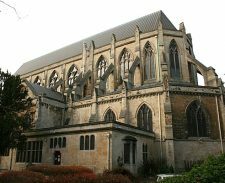 Housed in the former church of St Albans, The Landmark Arts Centre holds a range of artistic, cultural and family events and has a cafe on site. There is no parking on site. However, there is free parking in surrounding streets. London Waterloo to Teddington (about 35 minutes) then a 7 minute, signposted walk. R68, 281 and 285 stop outside the Centre, or 33 via Waldegrave Road. on site parking for 12 bicycles. There is space for buggies inside the venue. 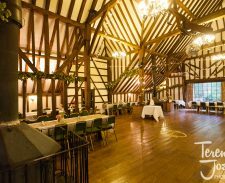 The Plough boasts a stunning 17th Century barn where are shows will be held. They also offer a fantastic range of food and drink. There is a large, complimentary car park on site. There will be an area for buggies inside the venue. Space is limited so if you are able to bring a sling or a car seat that would be wonderful.